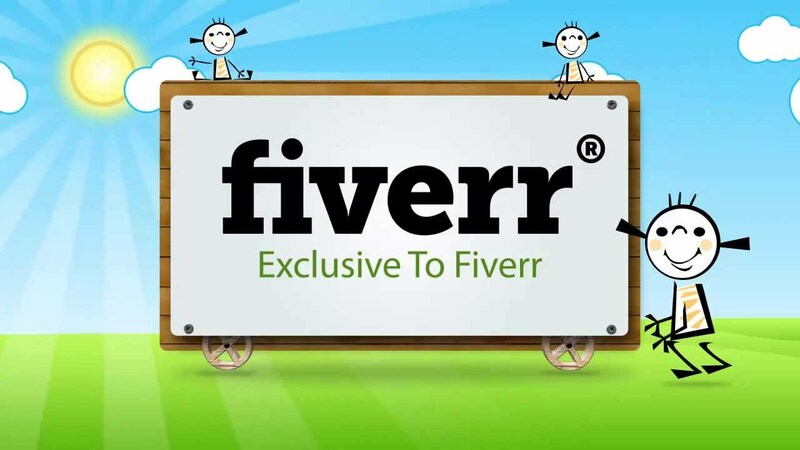 Fiverr is an on-line earning and skill selling platform. Just like other freelancing website, it is a special kind of website that says “Anything for $5”. People from all over the world register their accounts there and can buy or sell any skill or service for $5. It can be writing an article, making a presentation, translating an article, testing a software, singing a song or anything that you can do. Your price cannot exceed $5. Once you make your account there, you cannot only post your job offering called “GIG” but can also buy any other gig posted by other people. It is a great platform for on-line earning and client profile building. 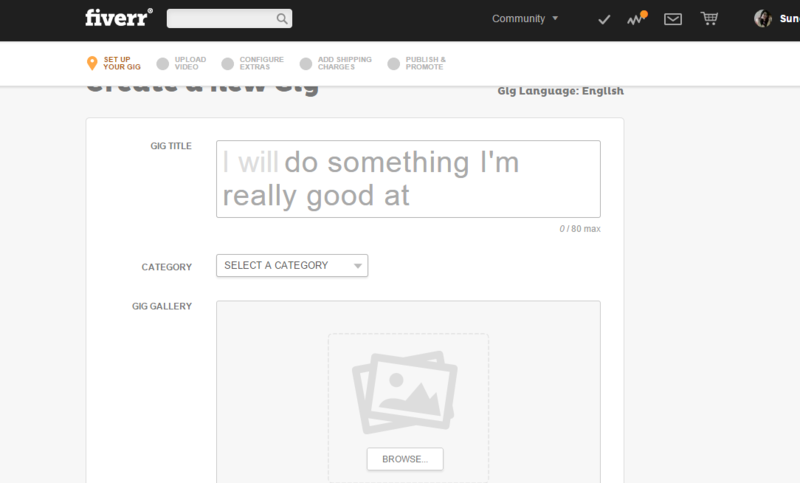 In this article , I will explain you how you can post your GIG and start selling it on Fiverr. 2- Sign Up and register your account here. You can also connect via facebook. 3- Once you sign in, you will see a scree like this. Go to your profile to complete the profile setting. Here, you can provide all the required details and complete your profile. Include professional introduction about the skills you have and highlight your strengths. 4- Under your name on the upper right corner, you will see “Request a gig” option. It is a place where you can tell your requirement and ask users to send you their gigs. Once you request a gig, in a very less time, youwill see gigs by different people and companies about their services. There are different categories like writing, voice overs, programing etc. If you want to buy a service, or you want to see how people are representing their gigs, you can explore this area. 5- Below that option, you will see “My Sales” option. Now this is the area where you can create a gig, sell it, view your online earnings etc. In order to post your GIG, go to CREATE A GIG. You will see something like this. Remember, Every bid will start from “I will” and end on “for $5” . Like I will write an amazing article for $5 or “I will make you a 2 minute video”. Upload pictures, write description, you can also add sipping charges if it is a product or needs shipping. You can also write special instruction for buyer and can add add-ons. For instance, if you post a gig that says I will write an amazing 500 word article for $5, you can add, I can go to 700 words for an extra dollar. 6- There is another option under “MY sales” that reads “BUYERS REQUESTS”. This is the best place to reach your buyers. These are the GIG requests (discussed in point number 4) by other people. These are updated every minute and you can apply and send your gig to the related request. 7- Once the buyer sees your gig, he can order it and you will be notified through email as well as message on fiverr. As soon as you see the message, you can communicate wit client through FIVERR messages. Sharing your skype id or email or trying to make a deal outside FIVERR is not allowed. 8- Once you complete and deliver a gig, you receive your payment in FIVERR wallet and you can see it in your “Revenue” tab under “My sales”. There are two methods to withdraw this payment. One is Paypal, other one is Fiverr Revenue card which is actually the Payoneer card. 9- If you do not have any of these, do not worry, you can get an absolutely free Payoneer card without any problem in Pakistan. Refer to How to get your free Payoneer Card in Pakistan article I wrote previously. 10- If you are worried that Paypal doesn’t work in Pakistan. Stop criticizing Pakistan 🙂 It is possible to have a working Paypal account in Pakistan. Refer to my previous article How to get Paypal account in Pakistan.